After IMM Cologne, which took place earlier this year, one can easily see that Nolte has an even larger presence at Eurocucina 2018, an exhibition, part of the Salone del Mobile which is the world's biggest furniture and design fair. The stall received a good crowd of people - retailers, designers, architects, interior designers, and design enthusiasts. 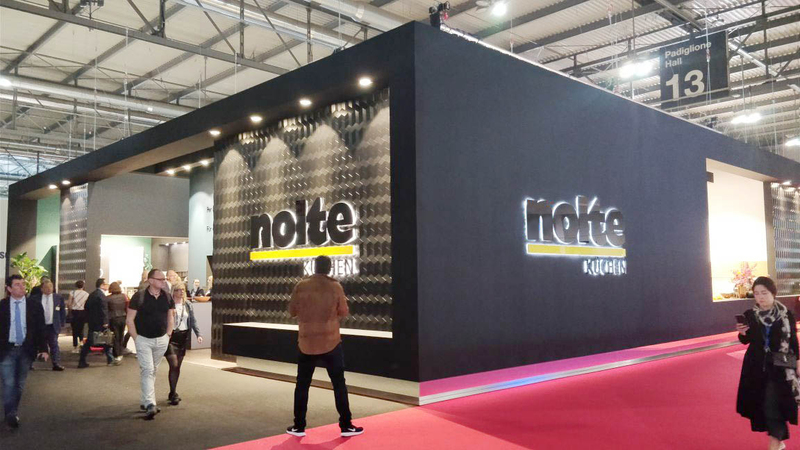 This year in Milan, Nolte showcased seven inspiring designs with highlights from the large portfolio. The designs combine functionality and comfort for individual kitchen living. The range of kitchens was presented with a tagline 'Kitchen Living for Everyone'. Speaking about flexibility, this year there were over 170 door alternatives. Going forward, MatrixArt will be available with White handle trims in addition to the existing choice in Black, Quartz Grey or with Metal Effect. With lighting, all horizontal trims can be turned into design elements, adding to the cosy atmosphere of the kitchen. Also, new for Eurocucina is the push-to-open mechanism for the doors of the fridge. Original materials and realistic decors are alternatives for door finishes. Nolte’s unique measurement system, Matrix 150, based on 150mm comes with many unit types and sizes. Matching details, such as cabinets with the same decor inside and outside, make everything look harmonious. Nolte stands for individuality, ergonomic designs where all elements add up neatly. Metal is an important finish that is attractive in every way. It is seen in Ferro's door range. 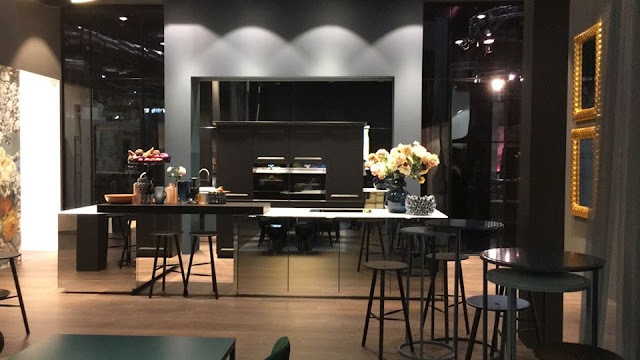 Together with cement, which was introduced in 2017, was shown at Eurocucina for the first time through door ranges PORTLAND (original) and STONE (decor), the metal door options make possible the design on-trend. 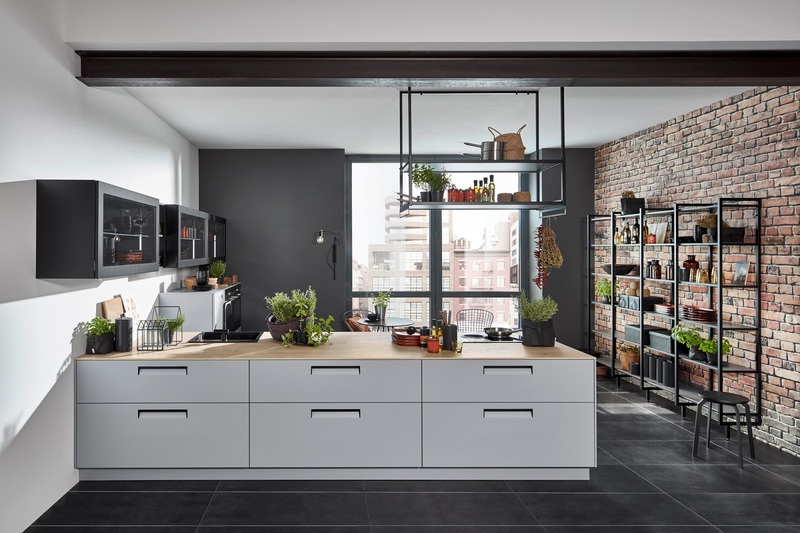 Industrial Kitchens now adapt to individual requirements. Thin worktops, racks FLEX and CUBE with a choice of options for individual configuration, and glass doors for wall units with a mesh wire effect are great to add to these creations. The result is an Industrial Design with an elegant, lightweight appearance for maximum living comfort. 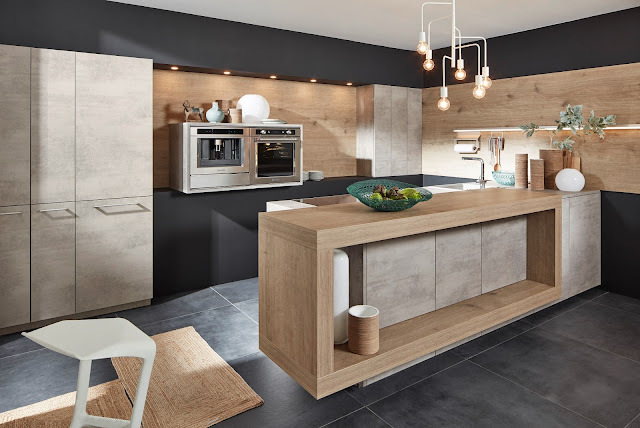 These elements are also ideal for INTEGRA, a perfect example of how Nolte allows the combination of several items: Available in three trend colours - Arctic White, Quartz Grey and Papyrus Grey – the new range has a minimalist handle as part of the door. By choice, handle inserts in Black or with Stainless Steel Effect can be added, varying the look and resulting in a great sense of depth. 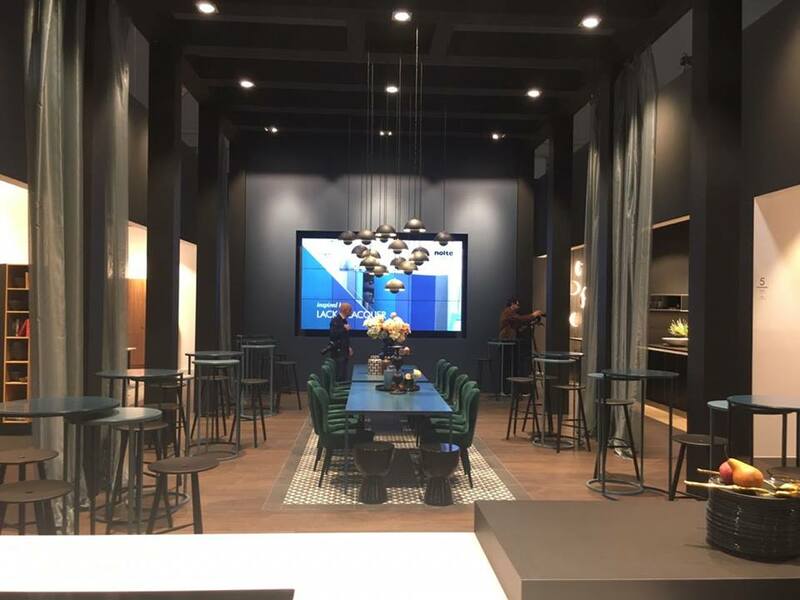 The potential for variation is also typical of Nolte Kitchen’s popular Matt Lacquer Concept. This now has 20 attractive colours, grouped in pairs within a cool and a warm sequence. The shades can be used on four door ranges that cover all the different kitchen styles. An example of the traditional look is ornamental frame door WINDSOR LACK, shown in Milan in Black soft matt. This colour gives the door a modern twist - an effect that gets even stronger when combined with mirror-door island modules taken from SALON, one of three kitchen concepts that belong to the Nolte Neo product line. The three concepts can be combined freely with furniture from the standard range. The range is clearly structured through concepts, so it is easy to narrow down the choice via colours, materials, or style.